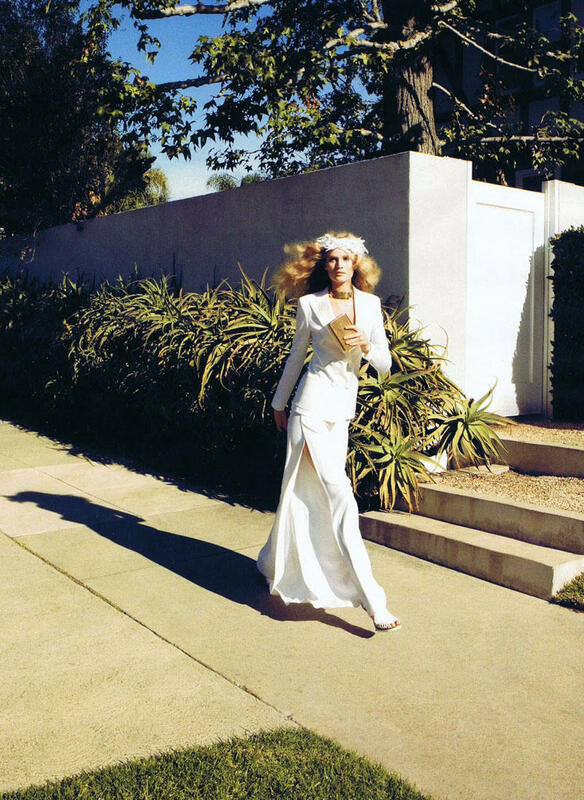 Lady in White – Toni Garrn takes to the streets of Hollywood, California for the April issue of Harper’s Bazaar US. In front of Camilla Akrans’ lens, Toni dons a crisp and airy wardrobe filled with ivory pieces from the likes of Dolce & Gabbana, Dior and Alexander McQueen styled by Brana Wolf. Perfection! I only realized at the end that ALL the pieces were white, but going through the spread there was enough texture and variety to take my mind off the single-color scheme. Perfection from first to last! Makes me want to bag my bags for LA! Perfect styling & the 2 maxi dresses on the last pictures is to die for! another all white editorial! but still love it! THE fashion photographer of the decade! Harper’s Bazaar US is totally better than American Vogue. This editorial is soooo gorgeous! is this not the most gorgeous (and perfect for the spring/summer season) editorial you’ve ever seen? love! Camilla can do no wrong…perfection! There’s no story here… just a lot of contextually bewildering outfits in white. As if white is something new. And the scenes are set in dull and compositionally-distracting locations. No story? How about the styling, relaxed stroll, wind-blown hair reflecting the nonchalant LA vibe in the 70’s. This editorial captures what Spring & Summer is about: light, air, sun and complete awareness of one’s senses…and Toni captures that perfectly. It makes me want EVERY single piece hanging in my closet, and if thats not fashion, than I dont know what is. except those shoes i want every single item in it. you can do better than this, camilla. Camilla is SOOOOOOO Inez + Vinoodh!